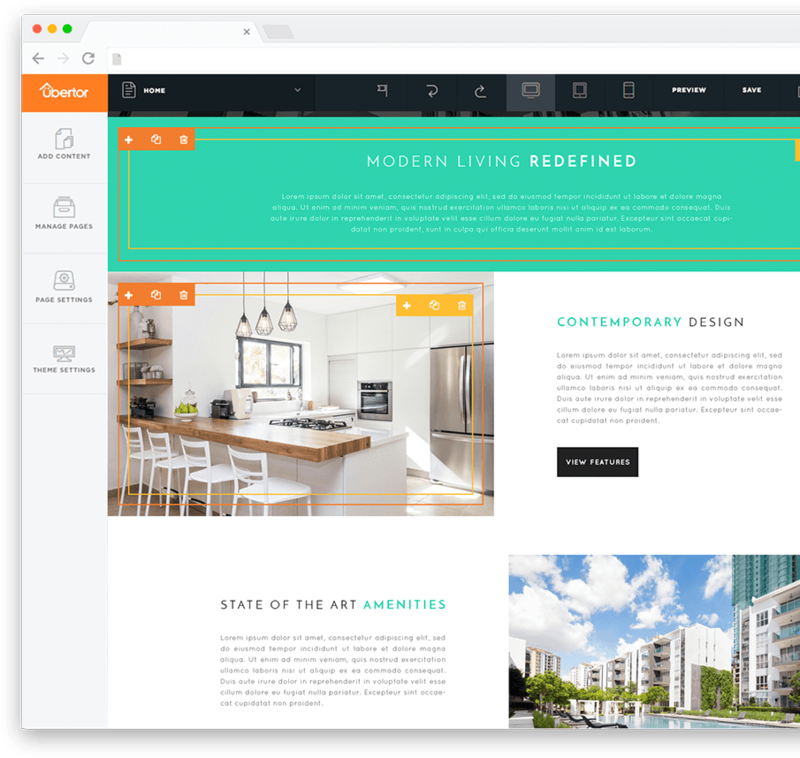 Editing your website’s content has never been easier – with Ubertor’s new On-Page Editor! 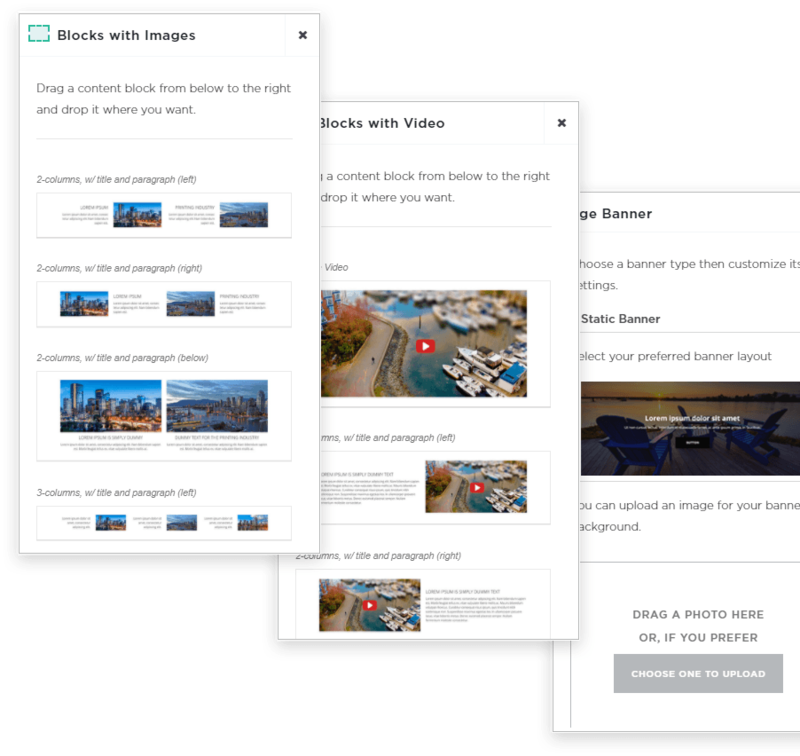 Drag and drop text, image, and video elements onto the page and easily adjust the size and position of your content in real time. Our advanced grid-stack technology makes sure all your content automatically stays organized into a ‘responsive’ web design – meaning your website’s layout will always be compatible with different screen sizes, including mobile devices! Editing your website’s content has never been easier, with Ubertor’s new ‘On-Page Editor’. No more navigating back and forth to the control panel to make changes – you can now make changes directly on the page, quickly and conveniently. Our On-Page Editor lets you drag and drop content (text, images, videos, widgets, etc.) right on the page. Elements can be easily added, deleted, and dragged around on the page for maximum customization. Our On-Page Editor is built with ‘responsive’ website principles in mind. 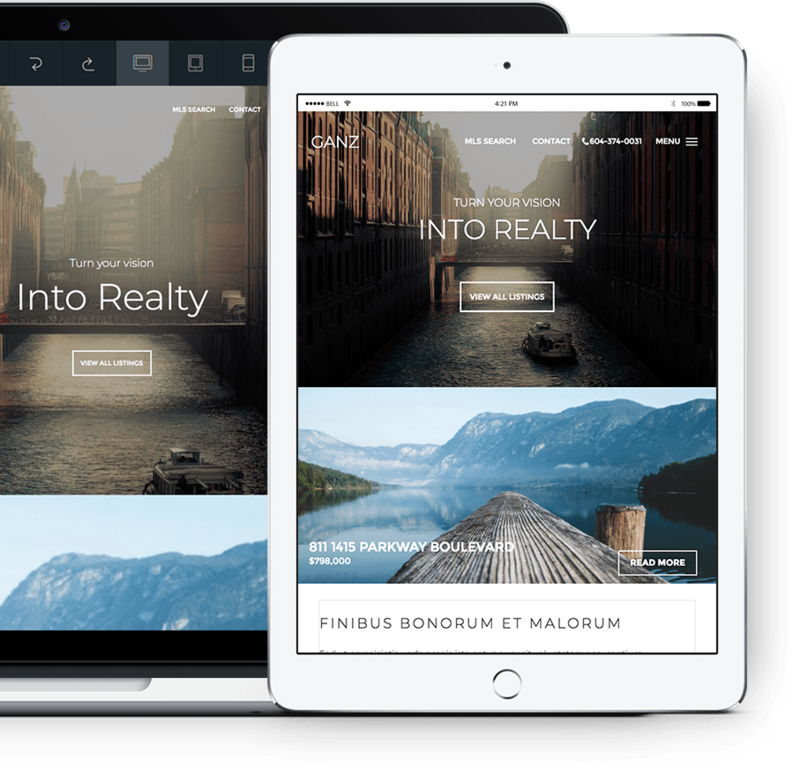 Take comfort in the fact that your site will conform to display beautifully without compromising any of it's aesthetic elements, on any device, automatically. Our platform offers all the features you will need to run your business as a professional. Customizable listing settings and site widgets that are vital to engage your audience are easier to set up and manage than ever before. 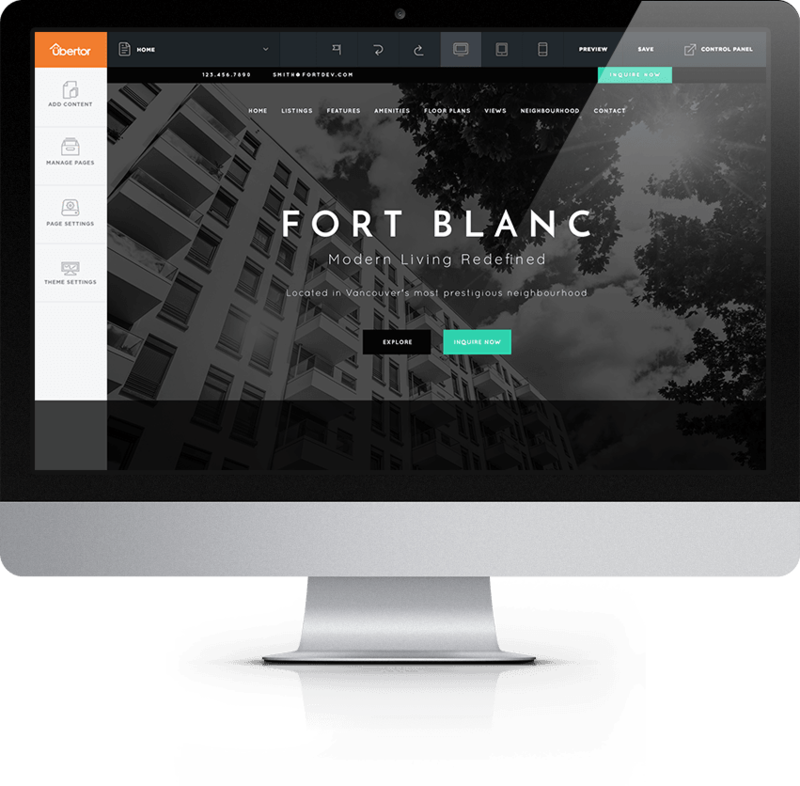 Along with our new editor, we’ve delivered brand new website themes that are elegant and easy to customize. Our themes look amazing out of the box and can be set up in minutes – but you’ll still have the freedom and flexibility to easily make the changes you want.